Print and Update Transaction Batch - See G/L Processing . Create file to import into Excel - See G/L Processing. To preview, go to File - Select Printer - Preview (Print to Your Screen). From the preview you can send the report to a printer, save it as a PDF, or save it as a TXT file. Although the Balance Sheet is the primary report to print for asset and liability/equity accounts, the Trial Balance is a useful report as well. You will want to print it at least once a month. Your Balance Sheet is the primary report to print for asset and liability/equity accounts. You should print it at least once a month to make sure your accounts are in balance. This is your income statement, showing income and expense accounts. You should print this report at least once a month. Enter the period ending date. 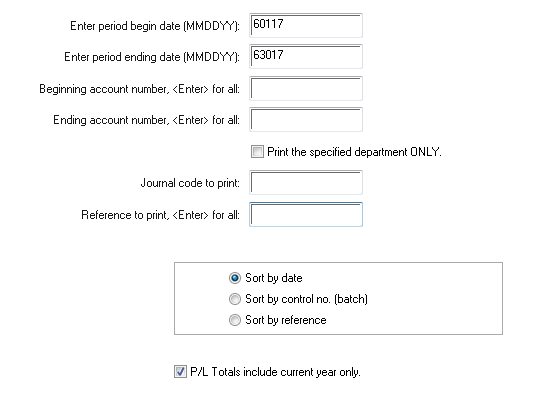 The period begin date will be the date you set up in the Control Record in GL Setup . From time to time you will want to print your Chart of Accounts. You should print it after your initial setup. 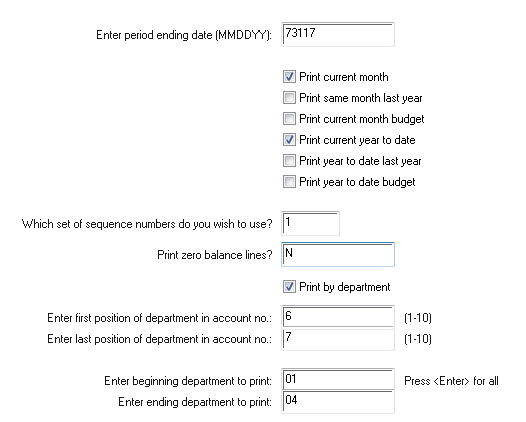 Printing by sequence number will print the accounts in the order that they will print on the Balance Sheet and Profit & Loss Statement. Sequence numbers are assigned in Account Setup. 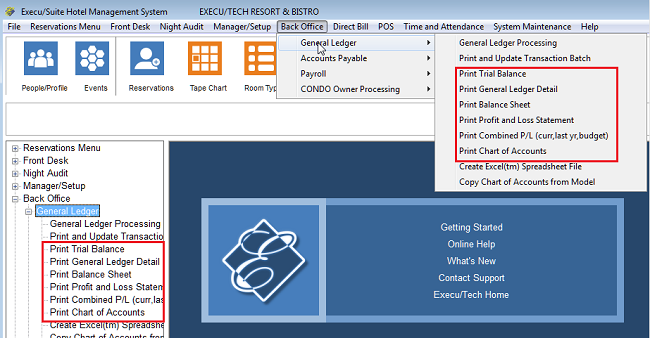 If you wish to print comment (section heading) and total lines that print on reports, answer Y. 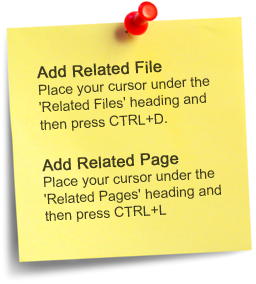 This will help if you are formatting reports. 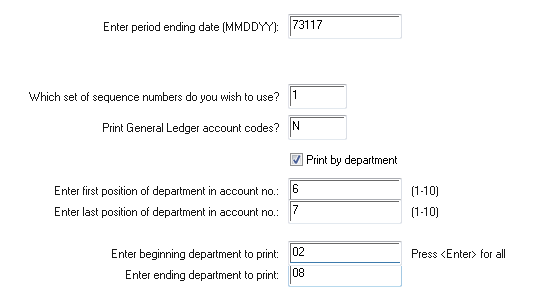 If you just need to see which accounts you can post to or direct transactions to, you do not need to print total and comment records.